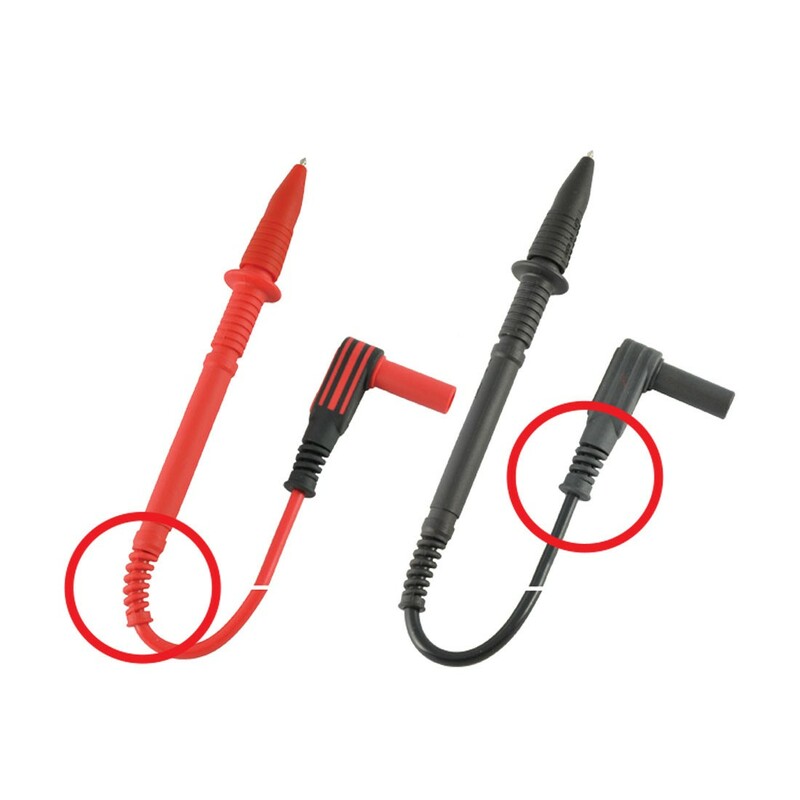 Right angle to straight terminal test leads have patented strain relief which makes them rugged and highly durable. Comes with standard 4mm banana jacks. 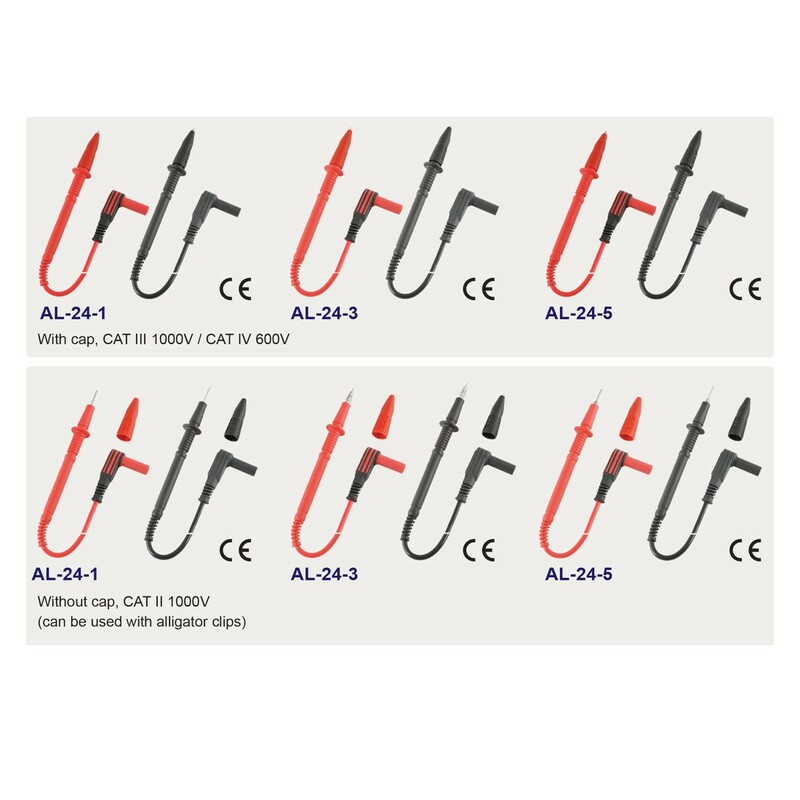 AL-24-1 Set (1 Meter or 3 Feet). Braid copper wires: 64 / 0.12mm. Terminal: Right angle 4mm brass (nickel plated) banana plug with caged and insulated sheathing to avoid the brass oxidation.